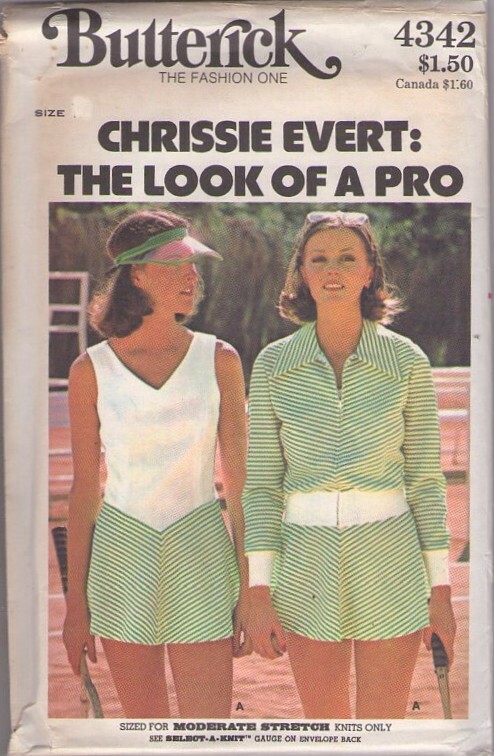 70s Sportswear, Retro Summer Clothing Patterns - MISSES' TENNIS JACKET, DRESS & BRIEFS Semi-fitted, unlined jacket eased into purchased ribbing trim waist and sleeve bands has pointed collar, separating front zipper, full-length sleeves, and slightly bias front and back bodice. Semi-fitted, A-line dress has V-neckline, slightly cutaway armholes, princess seaming, shaped below waistline seaming, and slightly bias skirt; solid or bi-color. Briefs have elasticized edges.